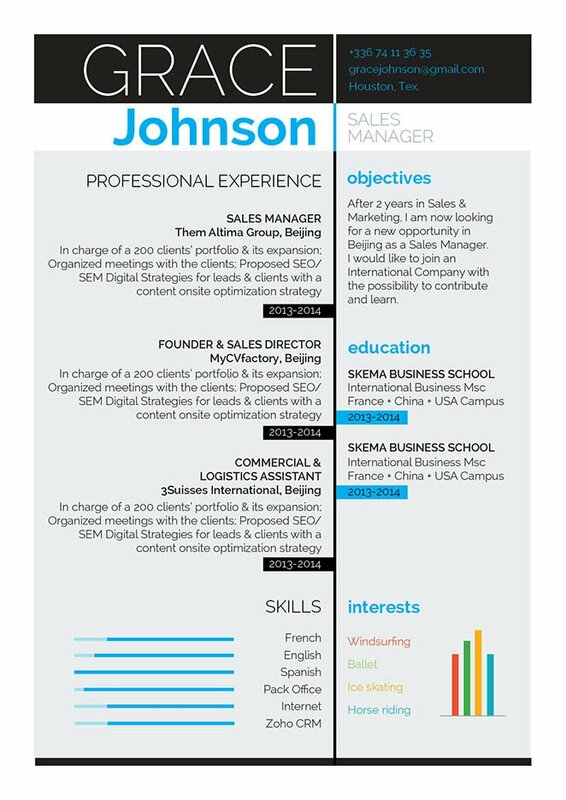 Skills and interests are super-well highlighted on this CV template. CV template to download "Freed"
The Freed Resume does and excellent job in presenting all your qualifications for your potential employer to easily read! This free resume features a unique selection of colors, graphics, and texts that create a CV format that is applicable to any type of job. 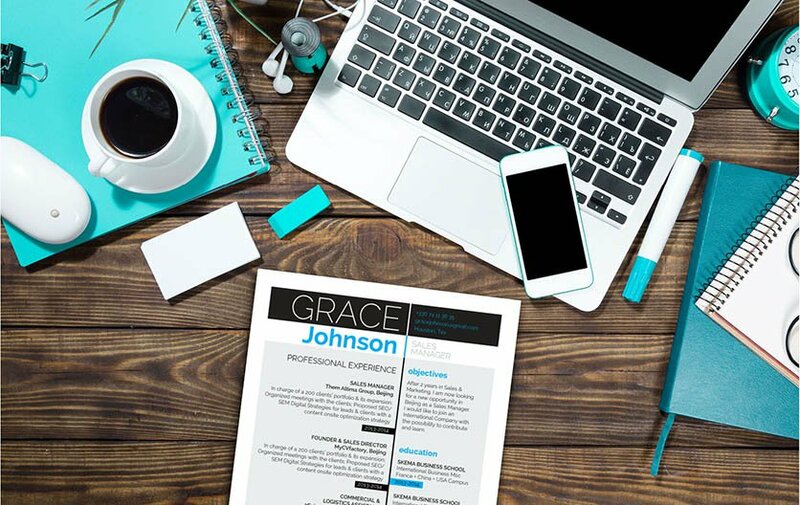 The various colors and graphics used in this resume presents all the key content clearly, which is sure to impress your potential employer and of course, increase your chances of landing that dream job! One key factor that makes a resume more eye-catching and effective is a clear and comprehensive CV design. All your strengths should be clearly laid out for potential employer. Highlight your strengths, but make sure to only include information that is relevant to your current job objective. Focus on what is most relevant to your potential employer. Determine these key points and place them in parts of your CV that are more likely to be read. This will serve as a hook for the reader, with the rest of your resume reeling them in.